DOROTHY HIZNAY (nee Masola) age 91. 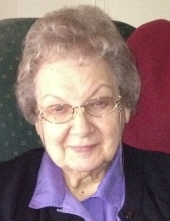 Beloved wife of the late Raymond Hiznay Sr.; loving mother of Donna Kleiner (Lothar) of Los Altos, CA., Sandra Kruse (Alan) of Arlington Heights, IL., and Raymond P. Hiznay Jr. (Heidi) of Sylvania, OH. ; dear grandmother of Carolyn and Amy Kruse and Raymond III (Allison), Victoria Blanton (Chris), Alexia, Nicholas and Elijah Hiznay and great grandmother of Tyrone, Charlotte and Hudson Blanton and Sophia Hiznay; sister of the late Richard and Joan Masola and dear aunt and great aunt. Passed away Thursday November 15, 2018. Funeral Mass Tuesday November 20, St. Christopher Church, 20141 Detroit Rd, at 11:00 am. Interment St. Joseph Cemetery, Avon, Oh. Friends may call at the church Tuesday from 10: to 11:00 am. The family suggests memorial contributions to the Michael J. Fox Foundation for Parkinson’s Research or a Charity of your Choice. "Email Address" would like to share the life celebration of DOROTHY M. HIZNAY. Click on the "link" to go to share a favorite memory or leave a condolence message for the family.